Cytokeratin 17 antibody LS-C693049 is an FITC-conjugated rabbit polyclonal antibody to Cytokeratin 17 (KRT17 / CK17) from human, mouse and rat. Validated for WB. 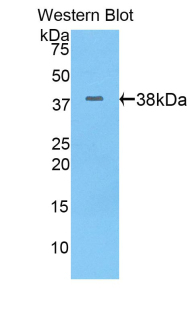 Recombinant KRT17 (Glu84-Asp392) expressed in E. coli. 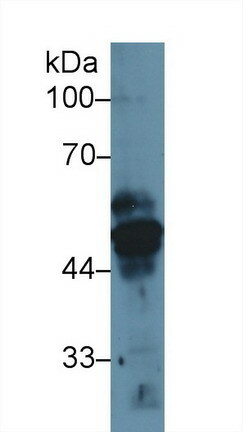 Western blot of recombinant KRT17 / Cytokeratin 17. This image was taken for the unconjugated form of this product. Other forms have not been tested.